We are doing a little pruning on the farm. We are reestablishing a perimeter fence that was old when I moved here. It’s now down and broken in most areas and we are going to just replace with new high tensile wire. Since trees and whatnot have grown up over the years we needed to do a bit of trimming back. While I have an axe and a machete I figured I would go Tim Taylor and get 100 hp of diesel grinding death. Other than getting the machine stuck once, the whole job only took about 2 hours instead of two days so that worked out great. And now we have a 6 foot wide strip that looks like a park where everything is ground and mulched. 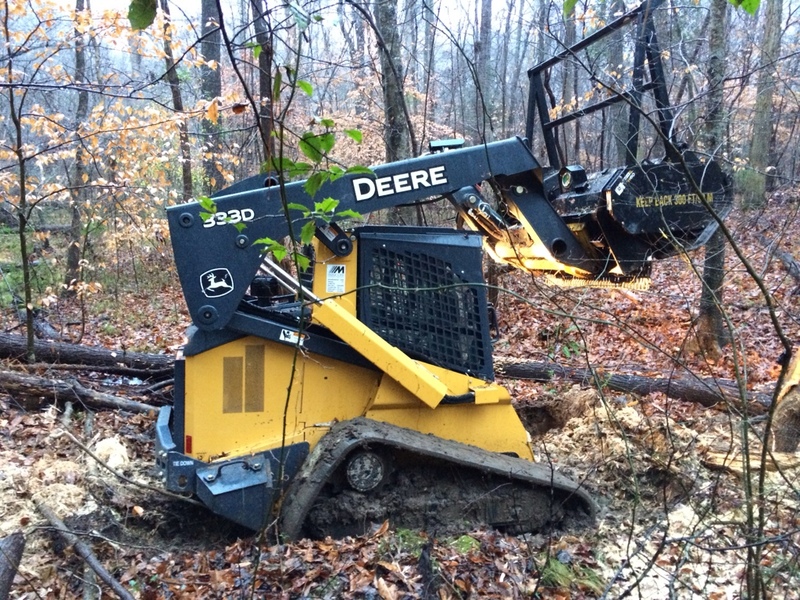 One interesting opportunity that came out of this grinder is that there were some piles of old wood that had been dumped into the woods. I needed to grind up these piles just to clear the way. 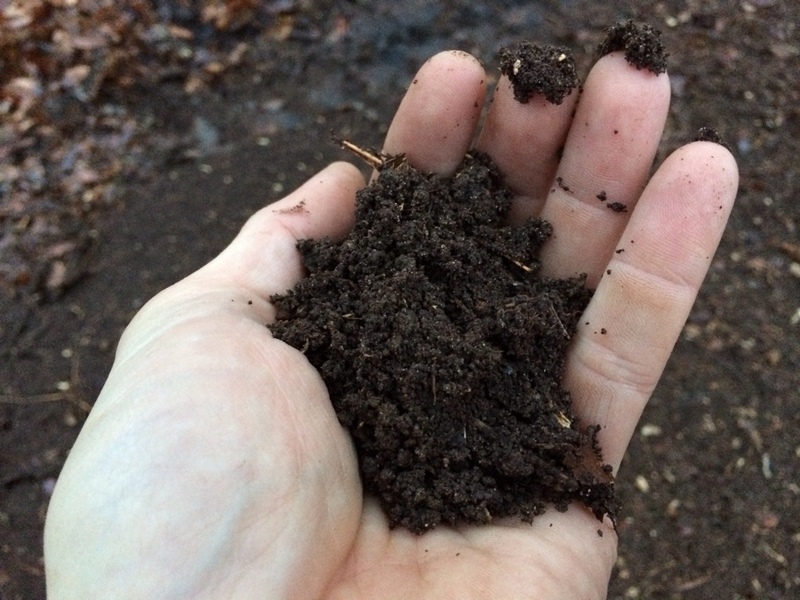 It’s sometimes confusing to understand how organic materials (trees and leaves) can become dirt. Well through the magic if horsepower we were able to shortcut the process by several years. We went in about 20 seconds from what you see above to this. This is nearly perfect material, produced naturally except for the final grind which only sped the process up. This is how you make healthy soil. No magic, just lots of organic material. 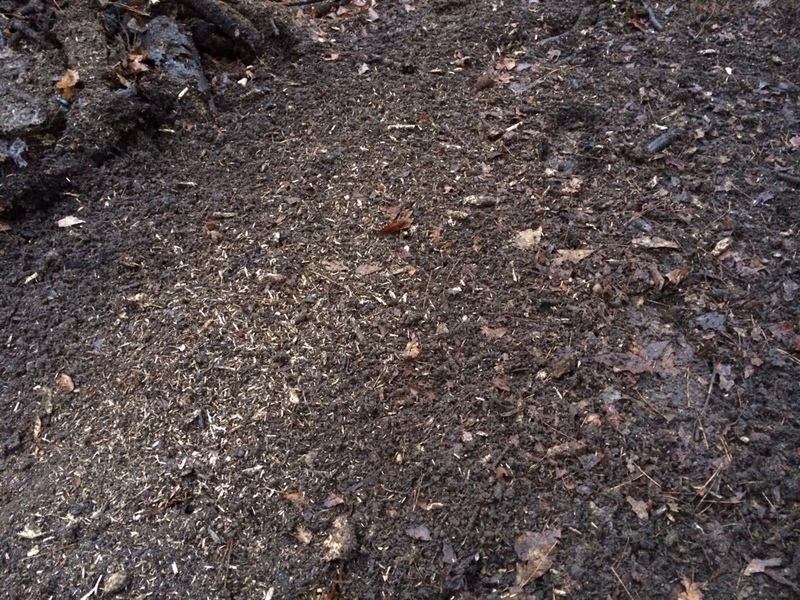 What the pile and the dirt looked like after the machine was finished. If this was out in the open it would be ready to plant a garden. 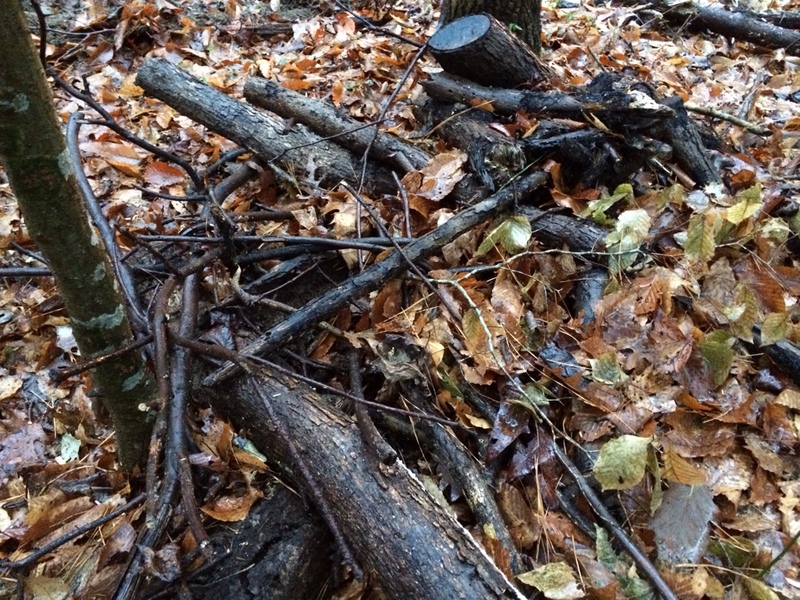 As it is its in the woods so it will cover back up with leaves and continue to build soil depth.